A few years ago, we visited Cyprus on an Alitalia mistake fare, YYZ-LCA in business class. It was a wonderful trip, and we traveled with R&L who came down from Dublin to join us. 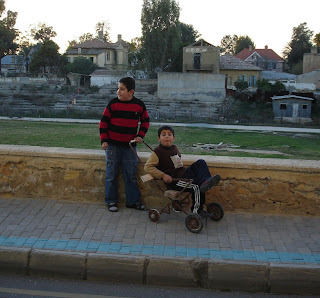 This is the Turkish side of Nicosia/Lefkosia, on a day trip as pedestrians through the NATO-run DMZ.